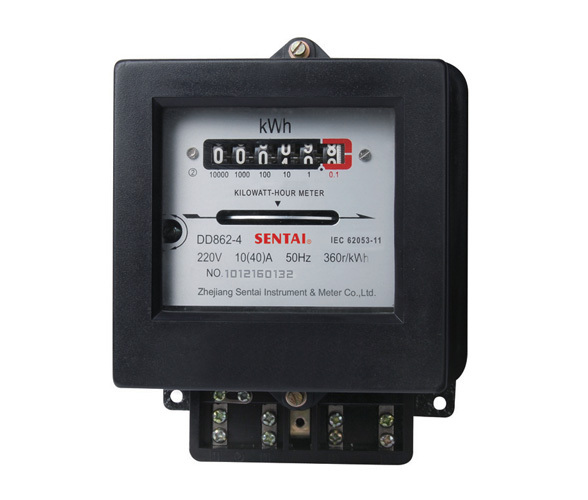 Model DD862 single phase electromechanical front board installed active energy meter is a kind of new style single phase two wire active energy meter, and fully absorb new technologies about electromechanical meter from domestic and abroad. 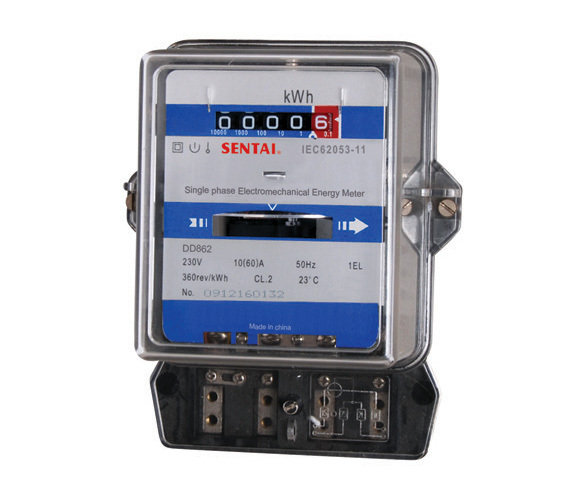 The meter completely accord with relevant technical equirements of class 2 single phase active energy meter stipulated in international standard IEC 62053-11. 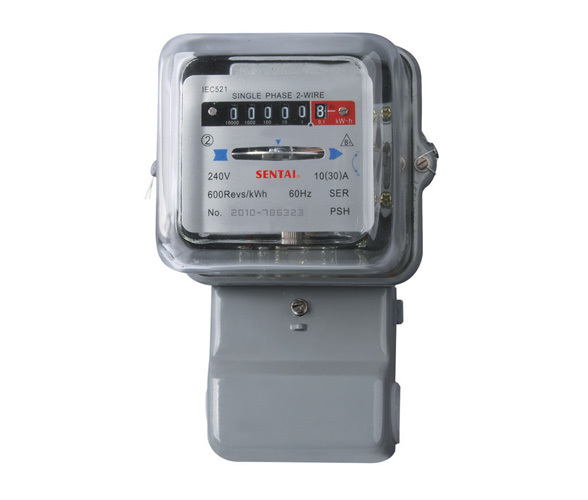 It can accurate and directly measure 50Hz or 60Hz active energy consumption from single phase AC electricity net, it is use for setting indoor or out door meter box. The meter has novel design, ational structure, and it can display total energy consumption by drum wheel mechanical register. It has following features: high overload, power loss, long-life, specious appearance, etc. ● Front board three fixed installation, the cover is made ABS engineering plastics molded overall, has a transparent glass window, the bottom of the meter is made of quality steel which is after double-through antirust processing, and the terminal is made of quality bakelite material which is moisture-resistant, fire-retardant, high temperature molded overall. It has following features: economy benefits, specious appearance, etc. ● Standard configuration bottom bearing is used of double gem bearing, oriented bearing is made of high wear resistance copper alloy bush and stainless steel needle. It has following features: long life and minimal friction, etc. May select magnetic thrust bearing. ● Standard configuration 6 digits display by drum wheel mechanical register, may select 5 digits display by drum wheel mechanical register. ● Standard configuration without the device which can prevent retrograde, may select add the function of prevent retrograde. ● Single component measure single phase two wire active energy consumption. Complying with standard IEC 62053-11. 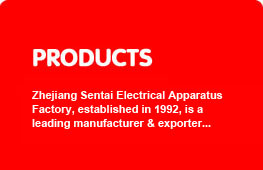 ● Direct connect operation, there are two types wiring you may select. Standard configuration type 1B wiring, may select type 1A wiring. 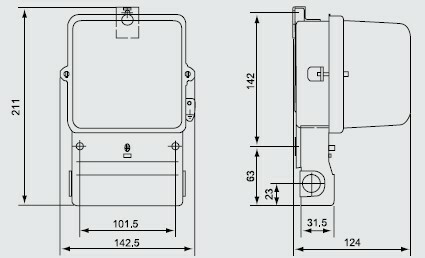 ● Standard configuration short terminals cover, may select extension terminals cover, in order to protect to use safety.